Swagger is one of the most used documentation tool for the software engineering , when you have the APIs exposed to the outer world and you need to maintain the documents of Input and Output Contract or you need to see the sample input and expected sample output of the api , swagger is worth use. Also Read : What is spring boot? 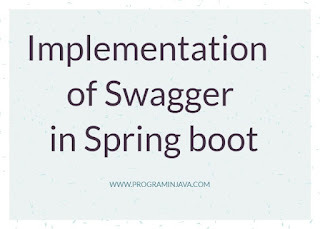 spring boot provide very easy implementation of swagger tool and you just need to write few line of code along with few jars , your documentation tool is ready to use. post endpoint will take input as user dto and get will use to fetch the user. Now we will implement swagger code. after that we are done and will run the server and will show you the swagger ui. These will add the Swagger dependency in file. Now we will add new class in project which is our swagger configuration class . Thats it , you have just implemented the swagger in your project. No further action required. How to see the swagger UI ? 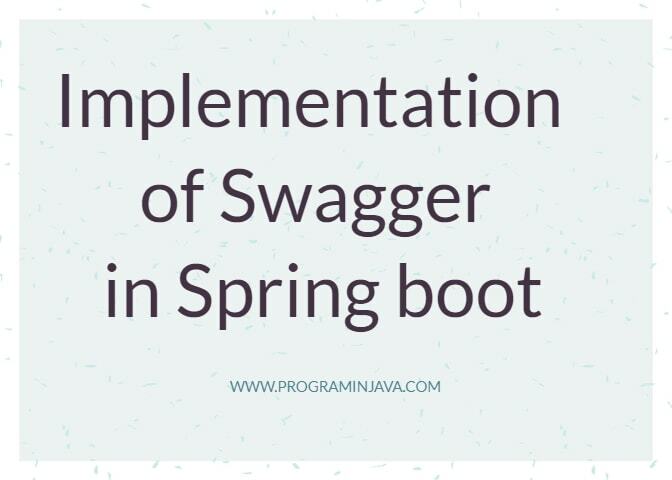 Hope this will help you in implementing swagger in your project. How to read value from property file in spring boot ?